After 40 minutes of live streaming the wait up to the Georgia Dome’s implosion, a surprise photobomber ruins the big moment. There are only about 5 seconds of total action as a demolition crew implodes the Georgia Dome and the Weather Channel camera crew have the perfect spot to capture the moment. Unfortunately, no one thought about a Marta bus pulling in front of the camera at the climax. In the background, you can hear the camera man quietly pleading for the bus to get out of the way – mixed in with a few bleeped-out expletives. It’s not a total loss though. This fail moment has given the video a bit a traction as it has garnered nearly a million views over the past few days. Over the weekend, I shared the viral video of a girl in a bikini taking a selfie with the narration of a nature documentary. If you haven’t watched it yet, you can see it here. 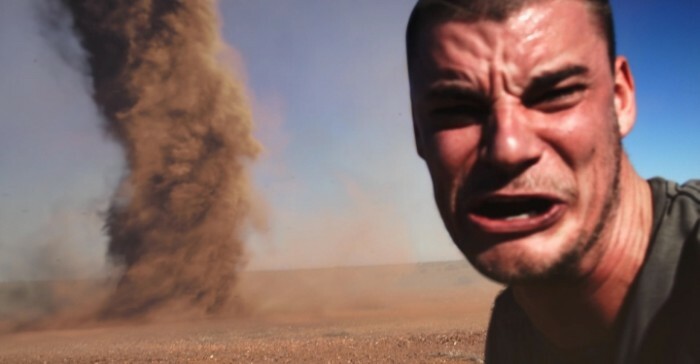 That selfie fail video has led me to 10 more ridiculous selfie attempts. Some worked out ok for the selfie-ographer, some didn’t. All of them can be summed up with a giant eye-roll though. Check them out below.